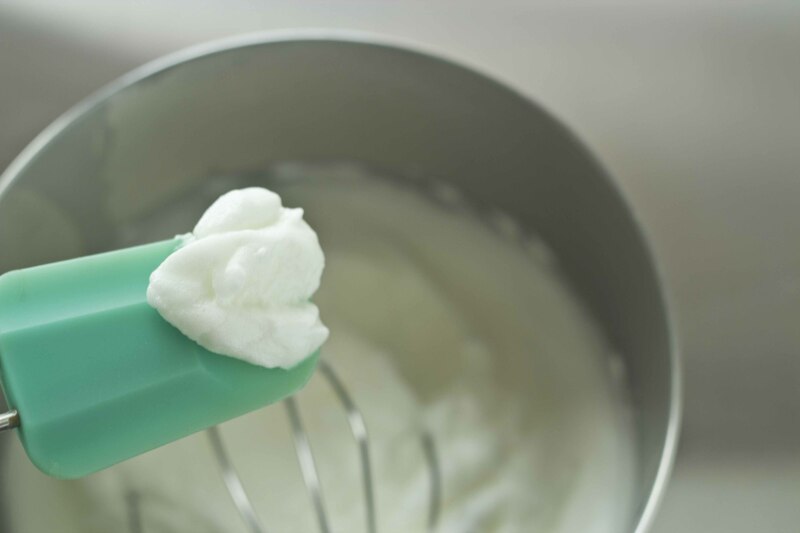 Egg whites are whipped to incorporate air into them. When the whipped egg whites are added to a cake, pudding, meringue or souffle, this lends a light and airy texture to the dish. Wash your hands to ensure you have no oil on your hands which hinders whipping egg whites. 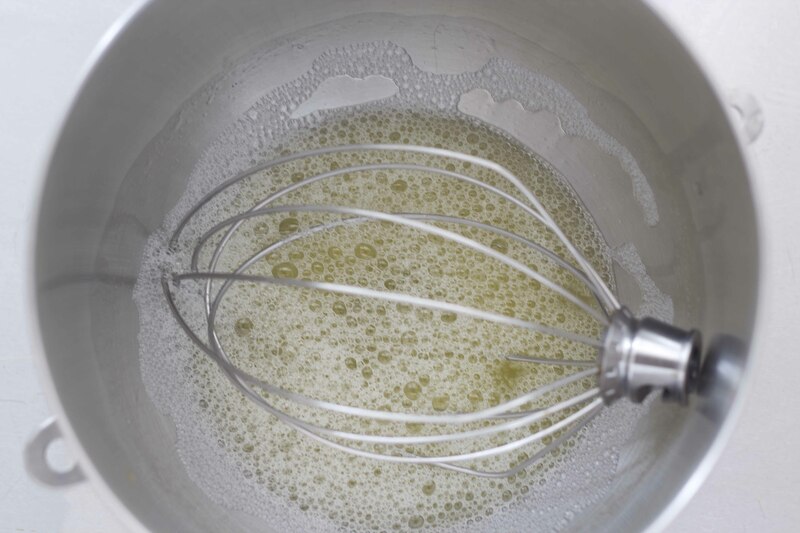 In a clean bowl (if unsure there is any trace of fat, then wipe with a sliced of lemon and then rub dry with a cloth), using a food processor, electric mixer, or by hand with a whisk, add the egg whites to the bowl. Whip the egg whites on medium-low speed (not high) until fluffy. If you pull the whisk out and it forms a soft mound on top or peaks but then the peak folds over, this stage is called, “soft peak”. 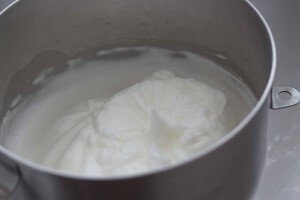 If the egg whites are whipped some more and when you put a spoon in and pull it out quickly, the egg white forms a peak which then doesn’t sink back down into the mixture, this is called “stiff peak”. This is the stage typically used for most recipes and for meringue. Also if you take a spoonful of the egg white and put it on the top of the mixture, it does not immediately sink back in. 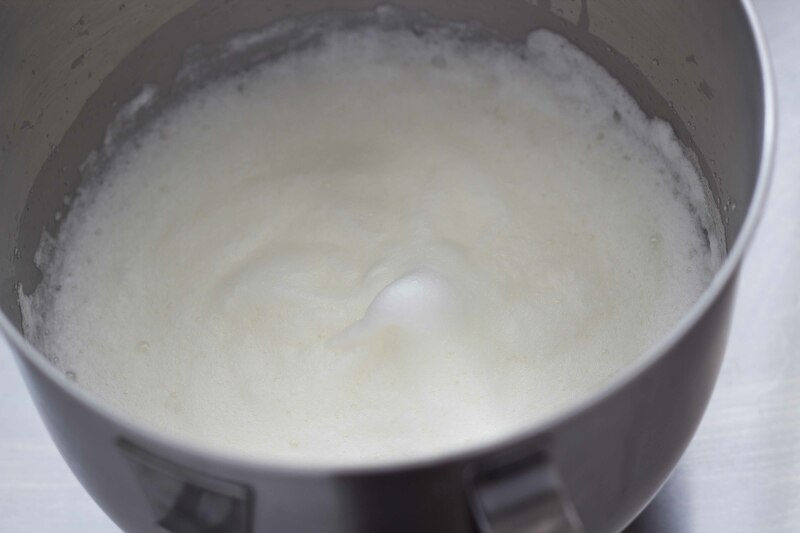 Be careful not to overwhip the egg whites or they turn liquid again.